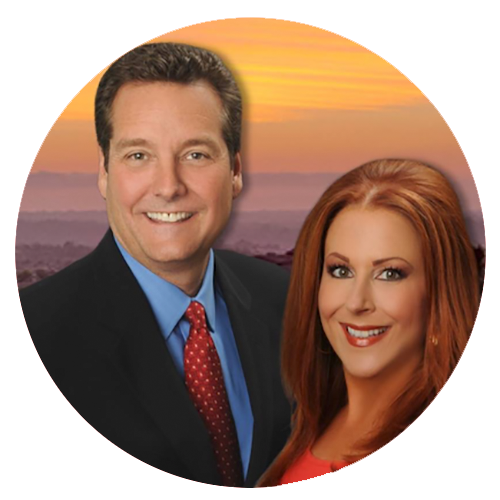 Learn about the benefits of living in Escondido, CA from top REALTORS® Philip Fredricksen & Mary Beth Kellee. Escondido, California is located in North San Diego County, about 30 miles from Downtown San Diego and about 20 minutes east of the Pacific Ocean. In July 2017, the estimated population of Escondido was 151,969. Escondido is one of the county’s oldest cities, having been incorporated in 1888. In Spanish, "Escondido" translates to "hidden". Many refer to it as the "hidden valley", because the city is nestled in a valley surrounded by rocky hills. Escondido offers something for everyone– whether you’re a lover of the outdoors, a patron of the arts, a foodie, a car enthusiast, or a connoisseur of beer and wine. View some of the many fun things to do in Escondido below. Escondido is also home to the world-famous San Diego Zoo Safari Park, an 1,800-acre zoo housing an array of wild and endangered animals, including species from Africa, Asia, Europe, Australia, and North and South America. Escondido has tons of fun things to do and places to see. One of its best-known spots is the California Center for The Arts, Escondido (CCAE), where visitors come from near and far to enjoy concerts, live theatre, museum exhibits, educational programs and other special events. Grand Avenue is the heart of Escondido’s historic downtown. It’s one of the few remaining authentic historic downtown districts in San Diego County, complete with vintage buildings filled with eclectic shops, amazing restaurants, galleries, and nearby parks. Every Friday night during the summer (April-September), Escondido’s downtown fills with vintage cars and floods of people in what is known as “Cruisin’ Grand”. This free event brings more than 5,000 visitors and car enthusiasts to Grand Avenue to check out over 500 cars lining the streets, plus live music, and great food. Since Escondido enjoys a Mediterranean-like climate, it’s a great place to enjoy the outdoors year-round. There are great hikes and fishing at Dixon Lake and Lake Hodges. Escondido is also home to Kit Carson Park, a 285-acre park offering walking and hiking trails, ponds, picnic areas, playgrounds, baseball fields, soccer fields, tennis courts, an outdoor amphitheater, Queen Califia's Magical Circle sculpture garden, a skate park, roller hockey arenas, a disc golf course, a Girl Scouts of America Program Center, and much more. 100 of the acres at Kit Carson have been developed and 185 acres have been preserved as a natural habitat. Escondido is a golf lover’s dream with 7 golf courses in the city. You can view a list of Escondido’s golf courses here. Escondido is also known for fantastic shopping at Westfield North County, a 3-story mall formerly known as The North County Fair. The mall has tons of restaurants, luxury retailers, and even a Target and 24-Hour Fitness. Some of the restaurants include California Pizza Kitchen, The Broken Yolk Cafe, The Cheesecake Factory, BJ’s Restaurant and Brewhouse and many more. You can view a full list of the stores at Westfield North County here. Did you know that some of California’s first wine grapes were grown and pressed in Escondido? The city still has several vineyards and wineries for residents and visitors to enjoy, from hilltop terraces with spectacular views, to cool urban tasting rooms. You can view a list of Escondido’s wineries and tasting rooms here. Escondido is also home to several breweries, including the famous Stone Brewing World Bistro & Gardens, Escondido Brewing Company, Jacked Up Brewery, and Plan 9 Alehouse. You can learn more about Escondido’s breweries here. Escondido various offerings attract a wide variety of homebuyers, from families to retirees. As of late 2018, Escondido home prices have continued to rise and Zillow predicts they will continue to rise over the next year. However, Escondido is still considered one of the more affordable areas in North County San Diego. For comparison, in November 2018, the median list price per square foot in Escondido was $302, which is lower than the San Diego-Carlsbad Metro average of $378 (source). The median listing price in Escondido was $600,000 and the median sales price was $529,000 (data through Sep 30, 2018). To learn more about homes for sale in Escondido, contact Philip R. Fredricksen and Mary Beth Kellee, an experienced team of San Diego REALTORS® who know the Escondido real estate market.